Some people are fearful of dental procedures, even to the point of avoiding any dental care or procedures. If you are one of those people, you should understand that you are not alone and there are helpful options that we at Centre Dental Office offer to make your experience less stressful. 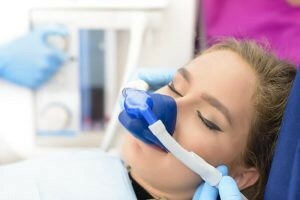 We want patients to be comfortable and have a pleasant experience so we offer our patients the use of NITROUS OXIDE, which is popularly known as laughing gas, enough to meet your overall expectations of having a very comfortable and enjoyable dental session when you visit your Family Dentist In Richmond Hill. Try our minimal sedation, which is highly effective to produce a state of calm to help patients to get treated in a relaxed state while be awake. Contact us and don’t forget to ask about our sedation techniques available. Visit us and take advantage of our professional Sedation Dentistry Options and ask us any questions we are here to help!